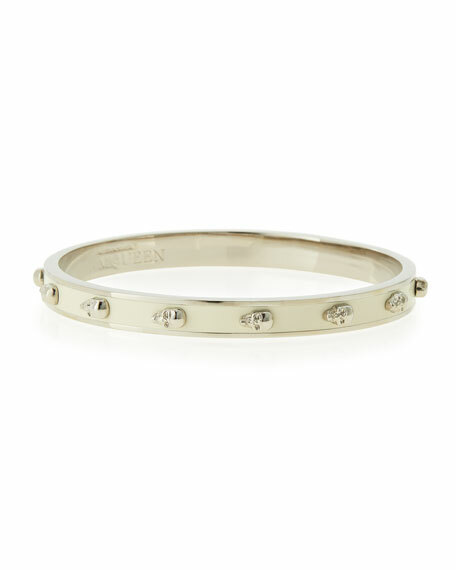 Alexander McQueen skull bangle with three-dimensional skulls. For in-store inquiries, use sku #222987. From the LAGOS Kinder Collection. Sterling silver with hearts and Caviar beaded accents. 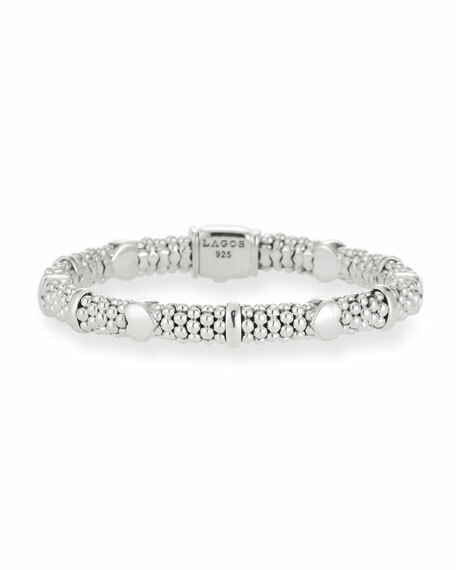 Sterling silver signature box clasp. 6 mm wide, 152.4mm long. Imported. 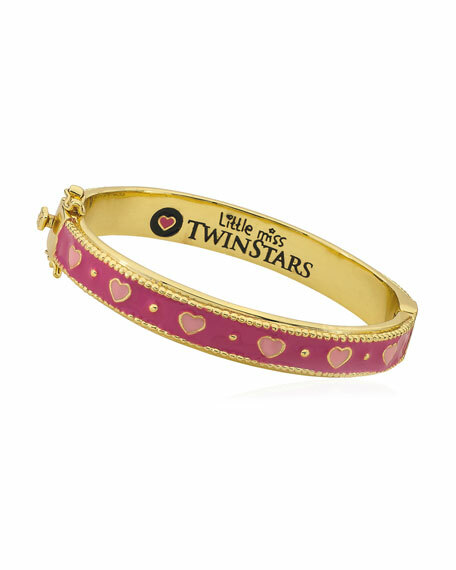 LMTS bangle bracelet in 14-karat gold plated brass. 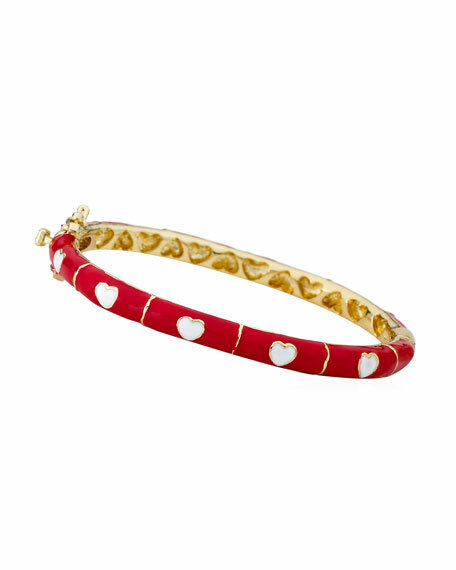 Enamel center with contrast enamel heart detail. Hinge closure. Hypoallergenic. Nickel free. Imported. 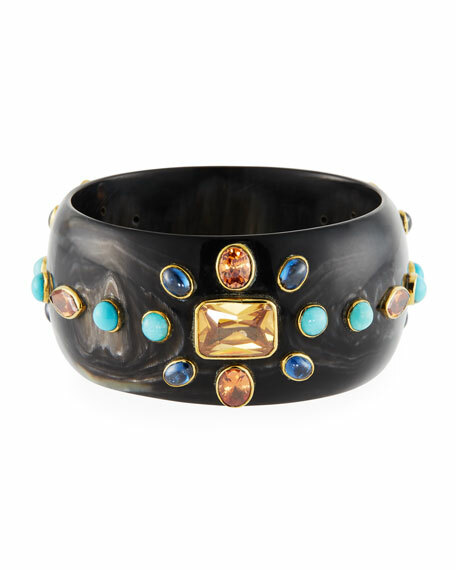 LMTS flat bangle bracelet in 14-karat gold plated brass. Pink on pink enamel center with heart detail. Logo detail on interior. Hinge closure. Hypoallergenic. Nickel free. Imported.